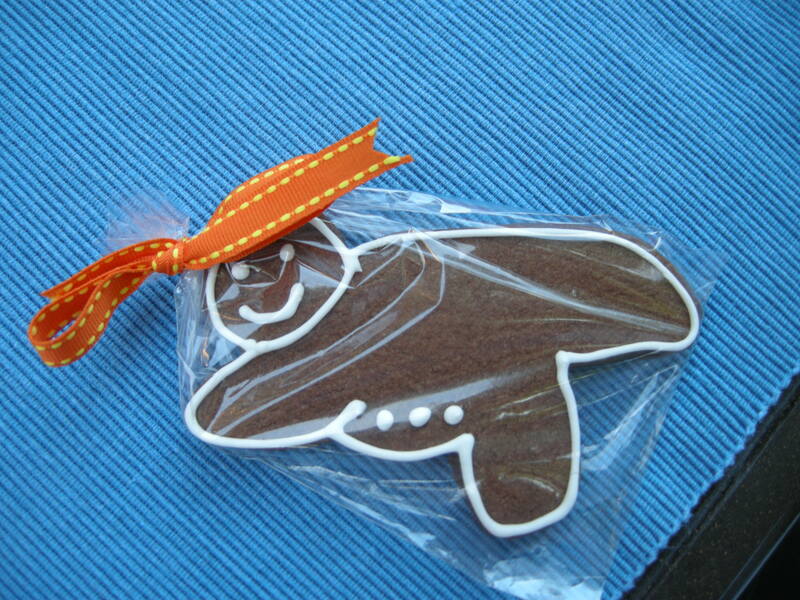 I was at a party recently at one of the yoga studios I take class at, and one of the students brought these gingerbread yoga pose cookies. I just had to share because I think they are so funny and cute! What a great balance: a tough yoga workout plus the sweet indulgence of cookies. 🙂 These are totally on my Christmas wish list. 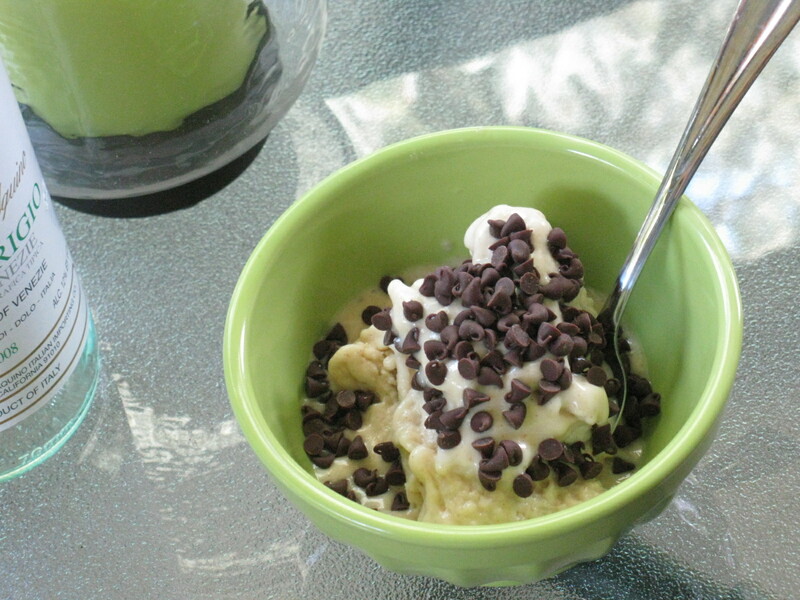 As promised, here are the homemade ice cream recipes I made to go with my Birthday Pizza. These also originally appeared in VegNews magazine. The Spumoni flavor turned out particularly tasty. I would encourage anyone with an ice cream maker to try your hand at making non-dairy ice cream. 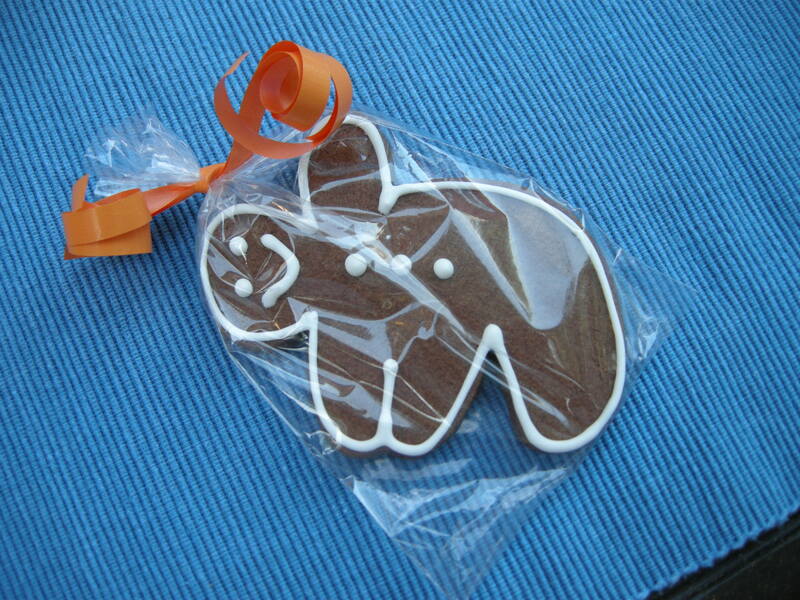 It’s the perfect treat for this HOT weather! Rather than making each individual flavor of traditional chocolate-cherry-pistachio spumoni, this version is a simple cherry base with dark chocolate chunks and toasted pistachios. 1. In a medium sauce pan over medium heat, whisk together coconut milk, sugar, cornstarch, and salt, beating the mixture vigorously to ensure that there are no residual lumps of starch. 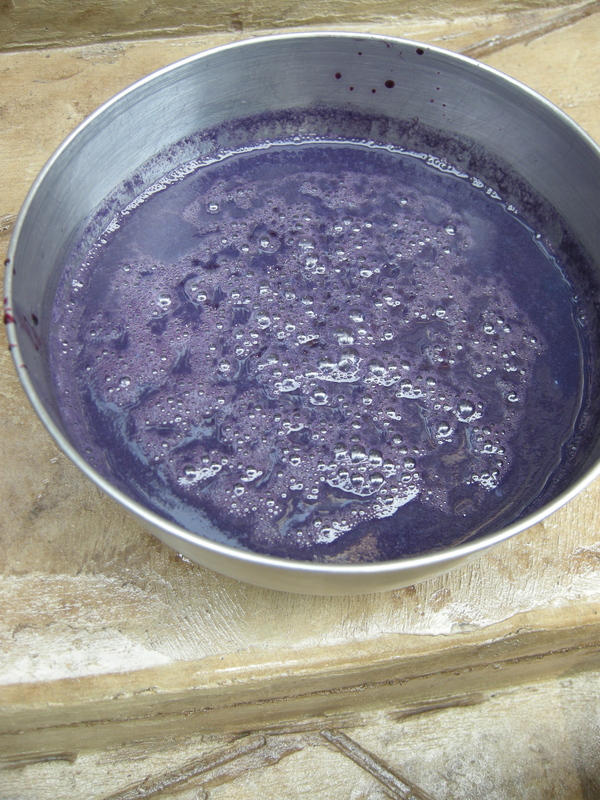 Allow the mixture to cook, whisking occasionally, until it reaches a gentle boil and significantly thickens in consistency. Remove from heat, and let cool for at least 15 minutes before proceeding. 2. 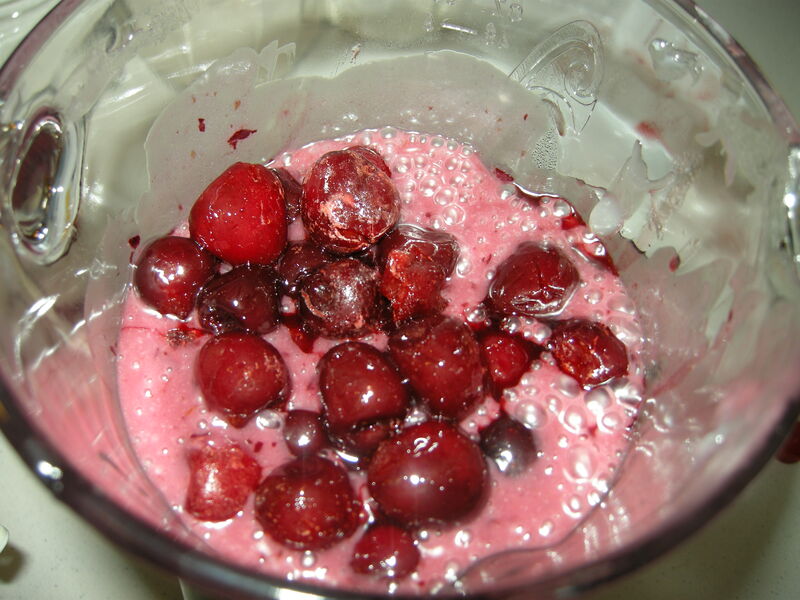 In a blender or food processor, place 8 ounces (1/2 pound) cherries. 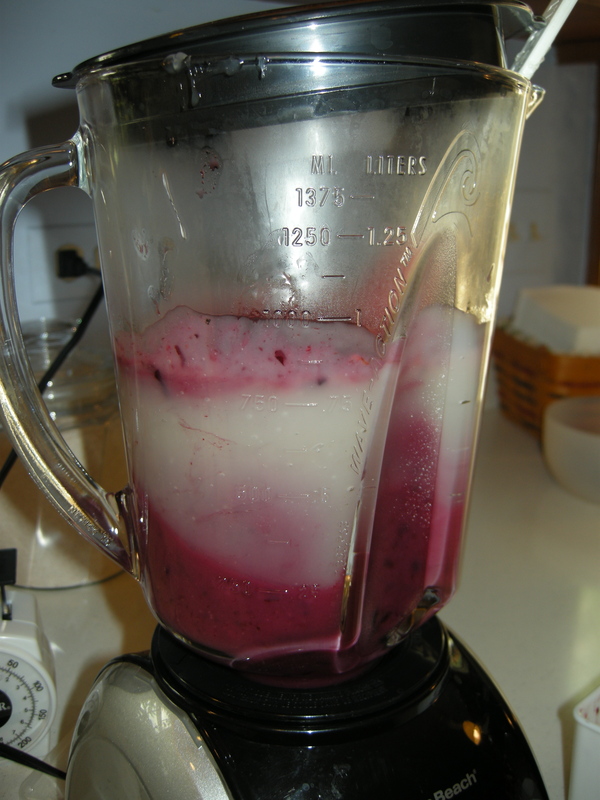 Add coconut milk mixture and puree until smooth. Add in vanilla and almond extract, and pulse to incorporate. 3. 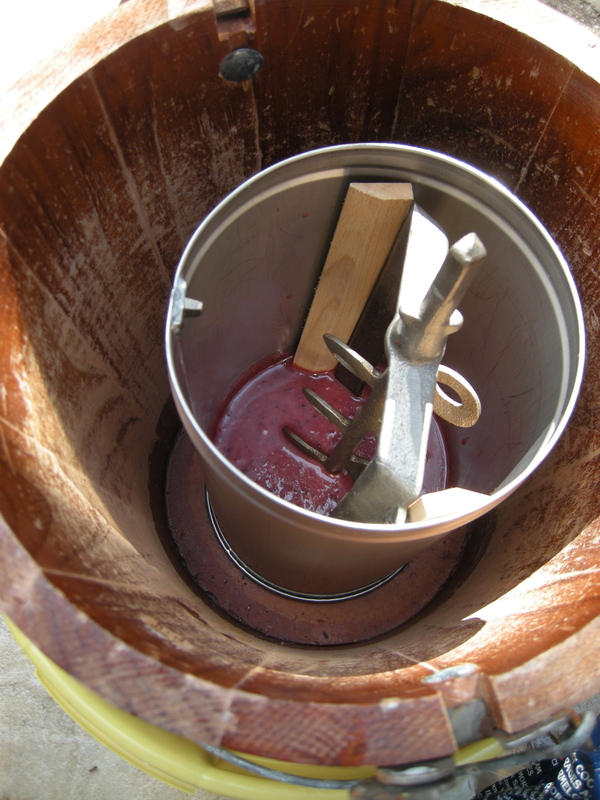 Transfer the cherry base into a bowl or pitcher, and chill in your refrigerator for at least 2 hours before churning. 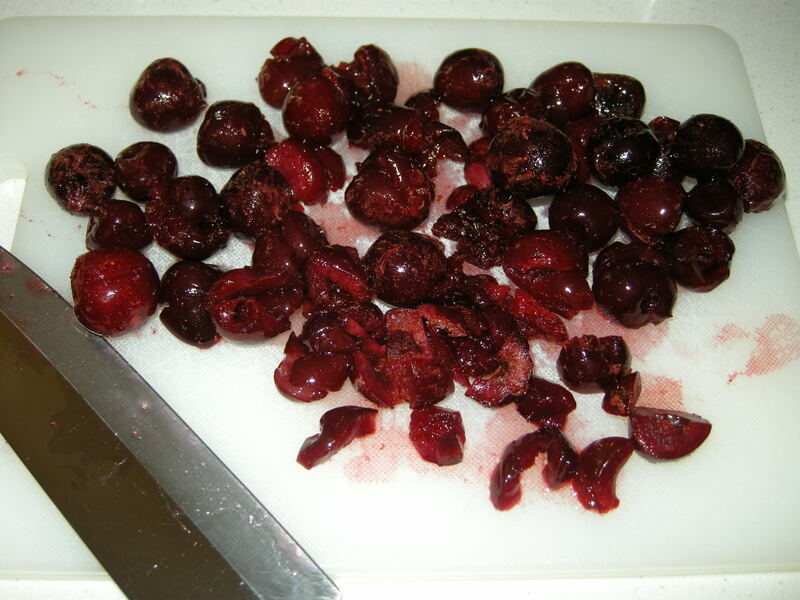 Roughly chop the remaining cherries, and set aside. 4. 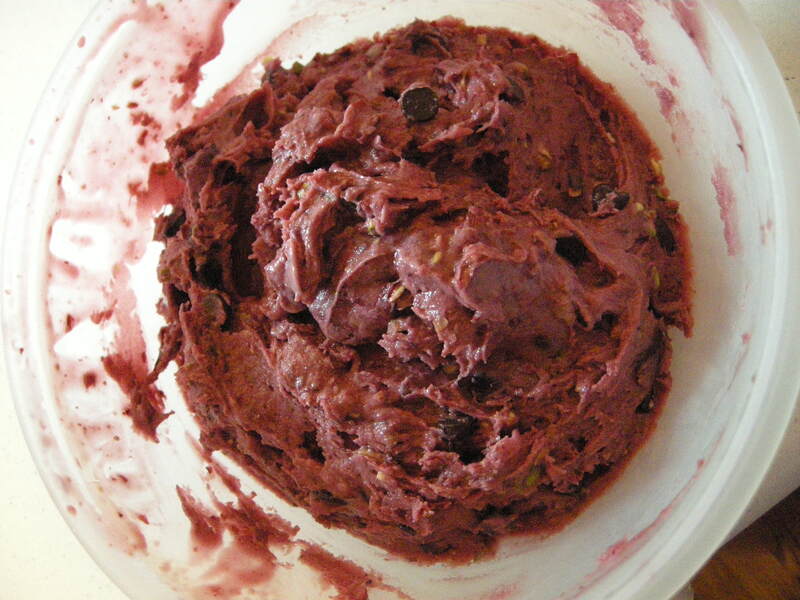 Process chilled base in your ice cream maker according to the manufacturer’s instructions, and the chopped cherries, pistachios, and chocolate chips in the last 5 minutes. Dad struggling to lock in the motor for the ice cream maker. It was stubborn but we got it! 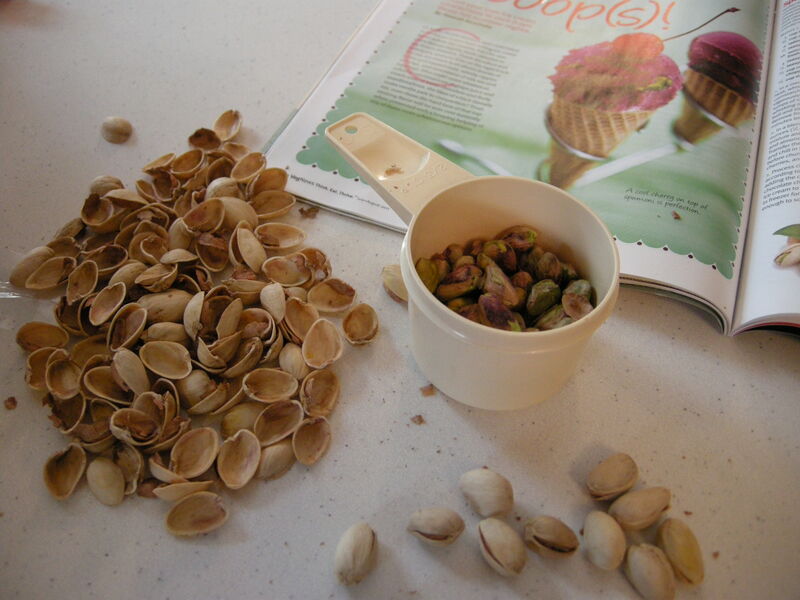 Shelling pistachios while the ice cream churns. 5. 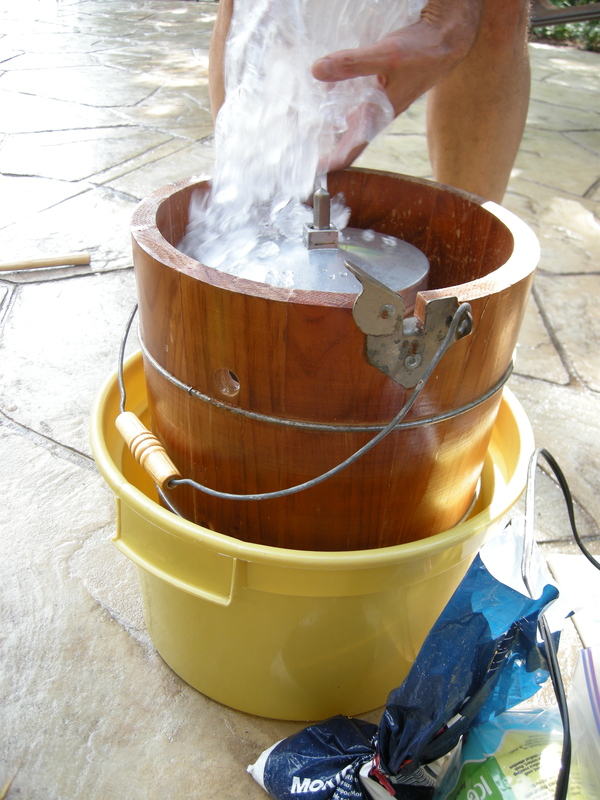 Transfer ice cream to an air-tight container. 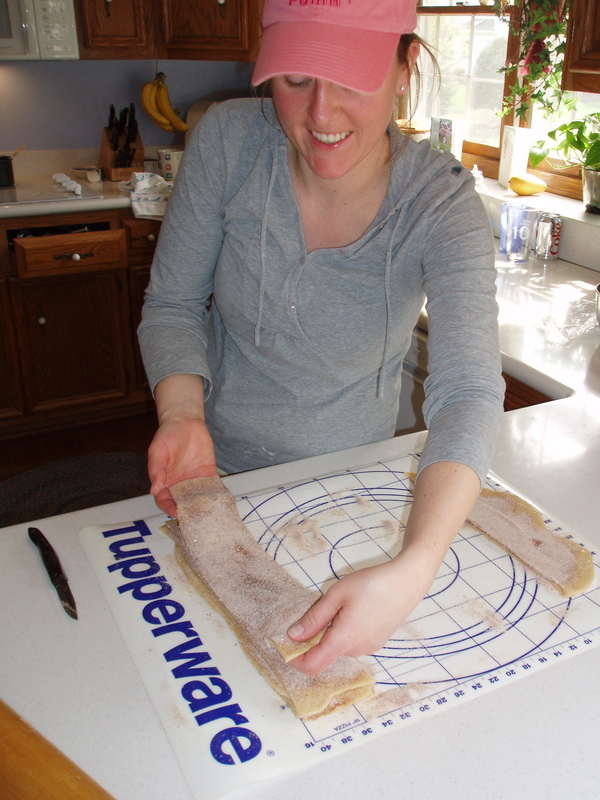 Place in freezer for at least 3 hours or until solid enough to scoop before serving. 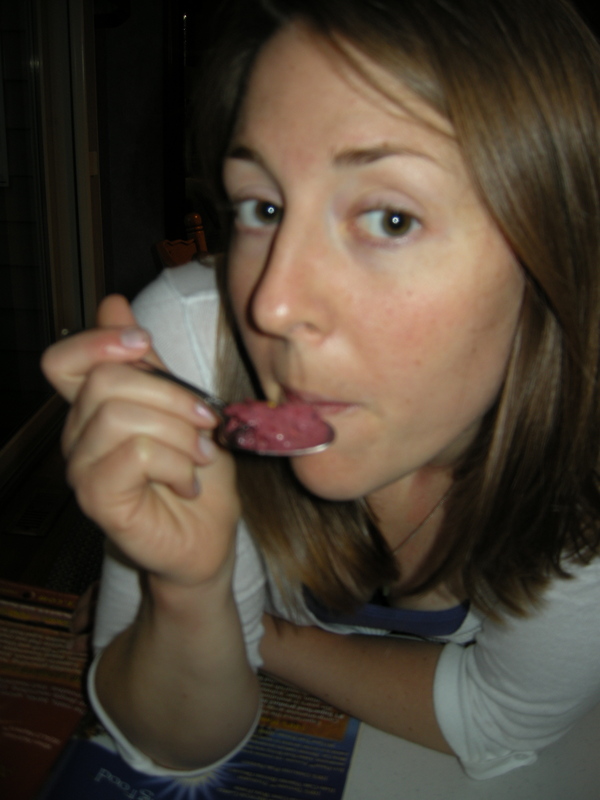 Kim enjoying the Spumoni ice cream. 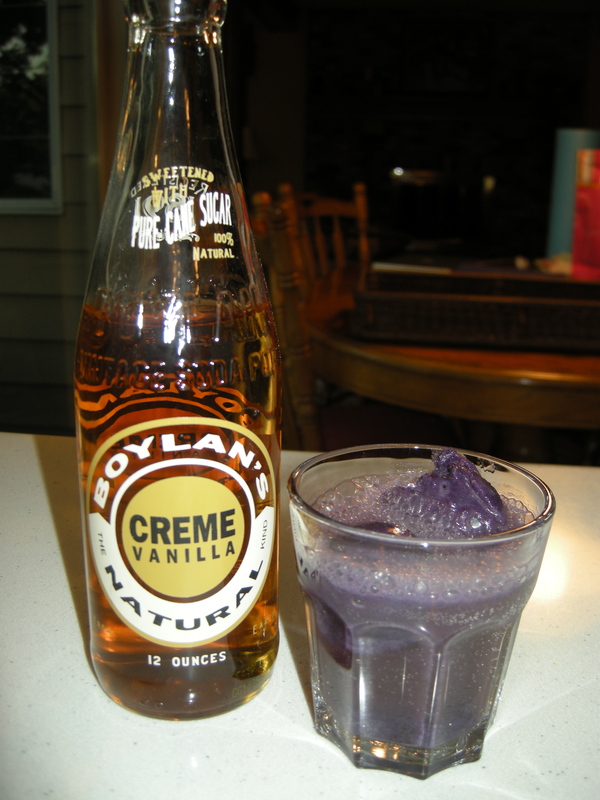 A Purple Cow is typically made with vanilla ice cream and grade soda. In this frozen twist the roles are reversed with grape ice cream and cream soda. 1. In a medium-size bowl, whisk all ingredients together until combined, and chill for at least 30 minutes. Process in your ice cream maker according to the manufacturer’s instructions. 2. 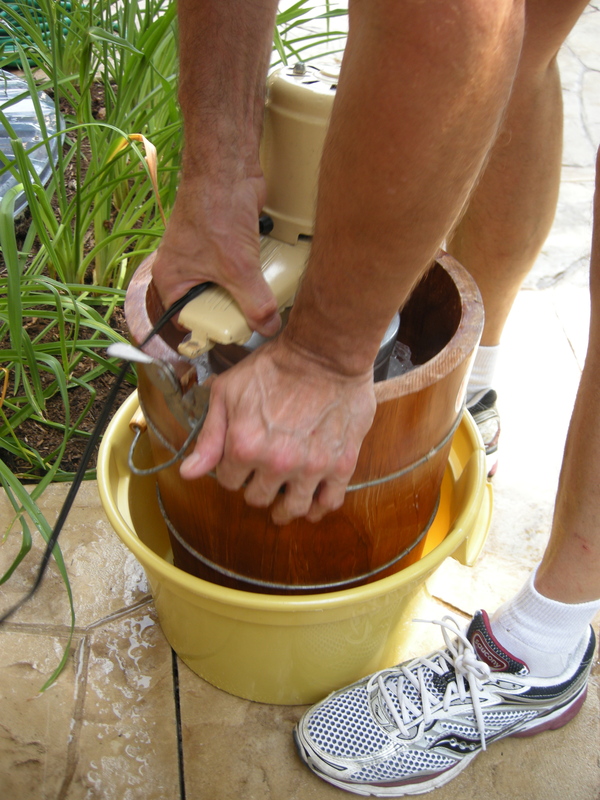 Transfer ice cream to an air-tight container. 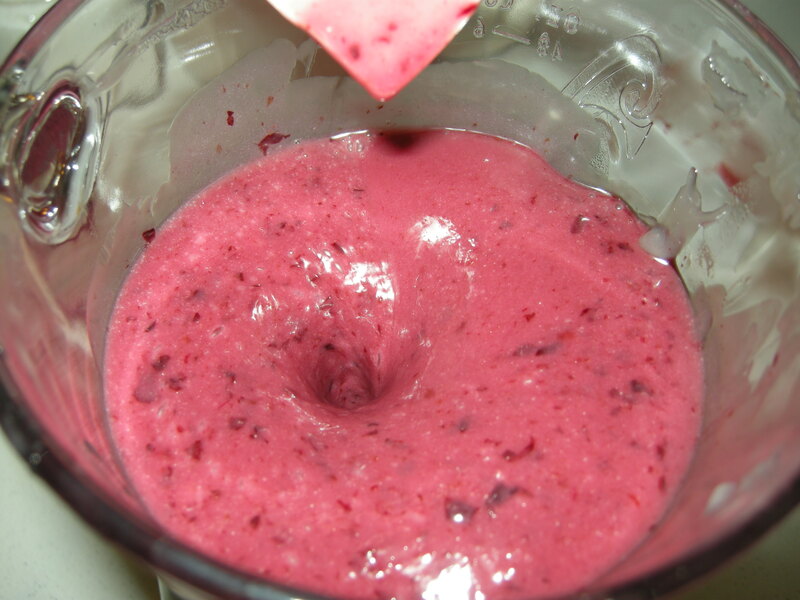 Place in freezer for at least 3 hours or until solid enough to scoop before serving. 3. In a tall glass, serve with cream soda poured over ice cream. I love July. It is absolutely my favorite month. This is likely because I’m part lizard (I would be happy spending most of my time lying on a hot rock) and because it’s my birthday month. !!! Today was a perfect July Saturday. We took a picnic lunch to Centennial Beach and spent most of the afternoon soaking up the sun. After a hot run in the 90 degree heat, coupled with that special exhaustion that comes from a slight sunburn, I was ready to curl up in front of a movie and call it a night. There was only one thing missing from my fun summer day — a yummy frosty treat! Thanks to my friend Jamie’s recommendation of a new vegan recipe blog, I had a wonderful (and ridiculously easy!!) answer to my craving. 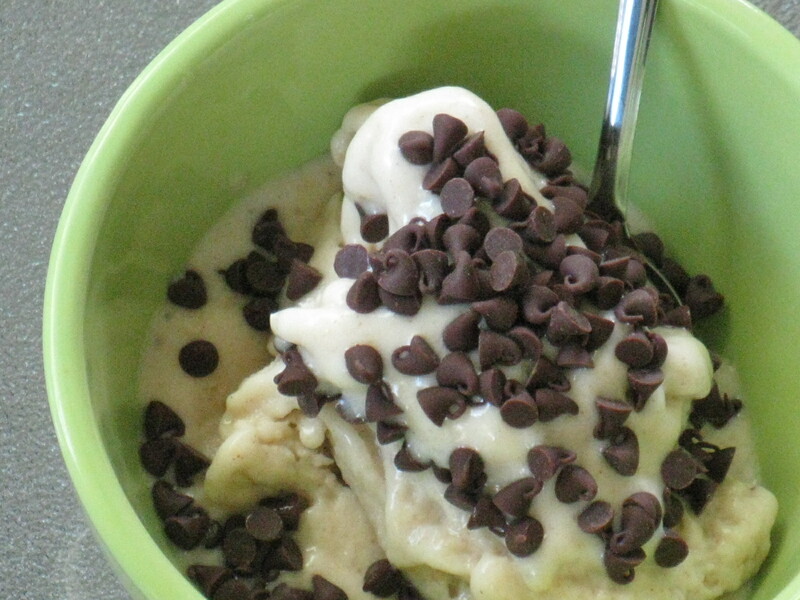 I simply pulsed 1 large frozen banana, a glug of almond milk, a tablespoon of peanut butter and 1/2 tablespoon of cocoa powder in my food processor for a couple of minutes and instantly had a yummy soft-serve ice-cream-like treat. I loved it! And no wonder: I had all the ingredients on hand, it took about 2 minutes to make, and chocolate, peanut butter and banana is basically my favorite flavor combination. Ever. I think this will become a sunny summer day staple. Yum yum yum. The bread turned out well. Here is evidence. I’m definitely making it again. making a pile of bread. 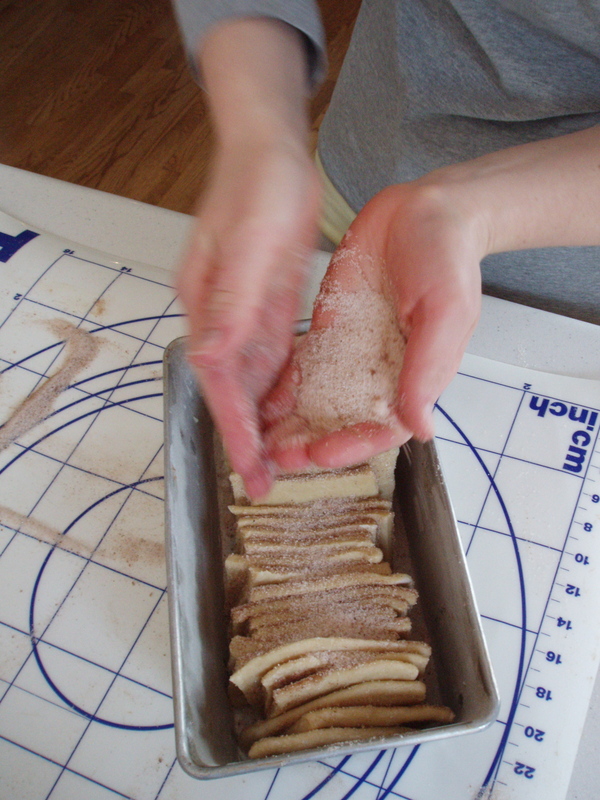 sprinkling the cinnamon on top. ready to pull apart and eat. I’m not a baker. I’m much more of a cook. I do not like being precise in the kitchen. I like throwing things together haphazardly and seeing what turns out. With baking, that method doesn’t typically turn out tasty food. I will bake from a box. Usually that means muffins. Sometimes pancakes as long as they are a special kind of pancake, such as pumpkin pancakes from Trader Joe’s (the box mix is still in my pantry, so I’ll have to blog about how that goes another time). Oh, and I do make cornbread. That’s about where I reach the end of the line with baking. 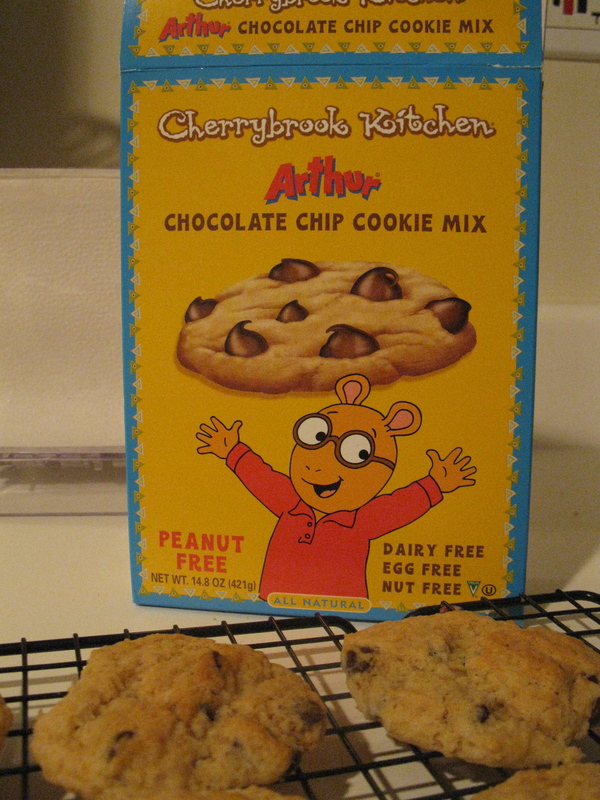 But, tonight I tried these: Cherrybrook Kitchen Chocolate Chip Cookies — for a few reasons. 1. Arthur is on the box. The aardvark. I adore the PBS cartoon show he stars in. But not as much as the children’s picture book series that I frequently read growing up. 2. 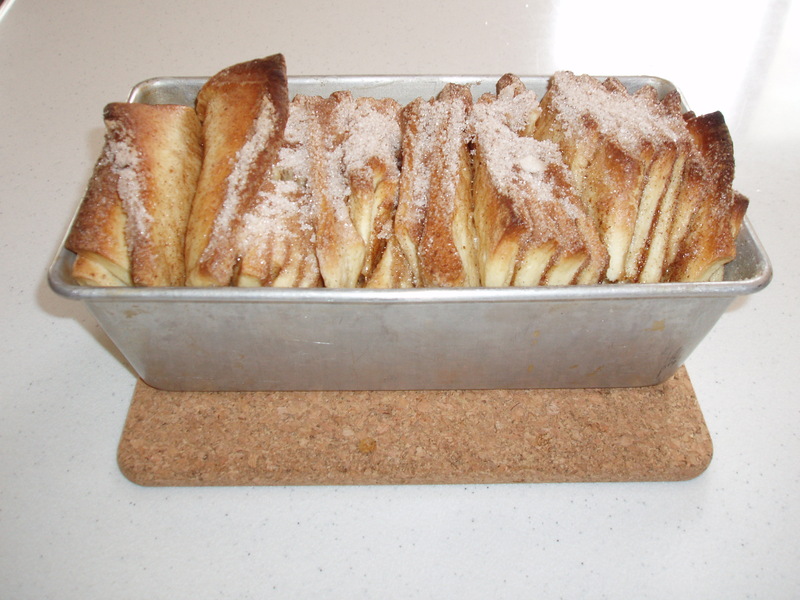 Baking from a box is, as I mentioned before, incredibly easy. 3. I am supposed to host my small group tomorrow night — provided people can get to my apartment. 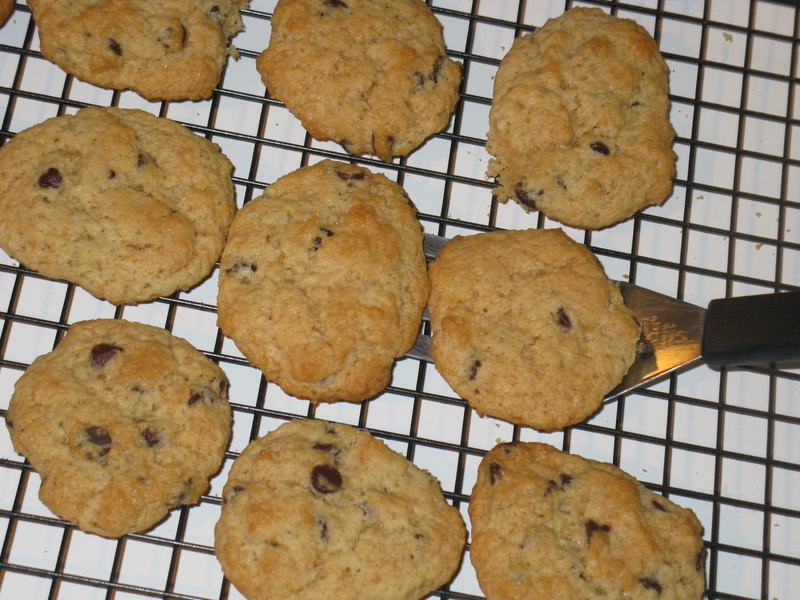 Small group friends: if you brave the snow tomorrow, you will be rewarded with cookies! 4. It’s snowing. A lot. And I had to entertain myself somehow since I cannot leave my apartment. This evening, I had already cleaned my bathroom, did some laundry, dug a snow-drift covered parking spot out for my car, went on a blizzardy adventure to get my mail, talked to a friend on the phone … so baking was my next task. 5. I talked with my brother about cookies today. Today is his birthday, and my parents sent him a very large box of all sorts of cookies. I must have had cookies on my mind. 6. Julie has been contributing a number of her own culinary-related posts, and I felt I should do something of my own to continue the theme. The results. The cookies were a bit dry but still tasty. The mix called for adding 1/4 cup water and 1/2 cup butter. I did this. So, I’m not quite sure how I could have made them a bit moister. More water? A half a cup of butter already seems like a lot. Any suggestions? I think for this batch, I’ll serve with milk. Note: this recipe can also be made with vegan butter to make a dairy-free treat. 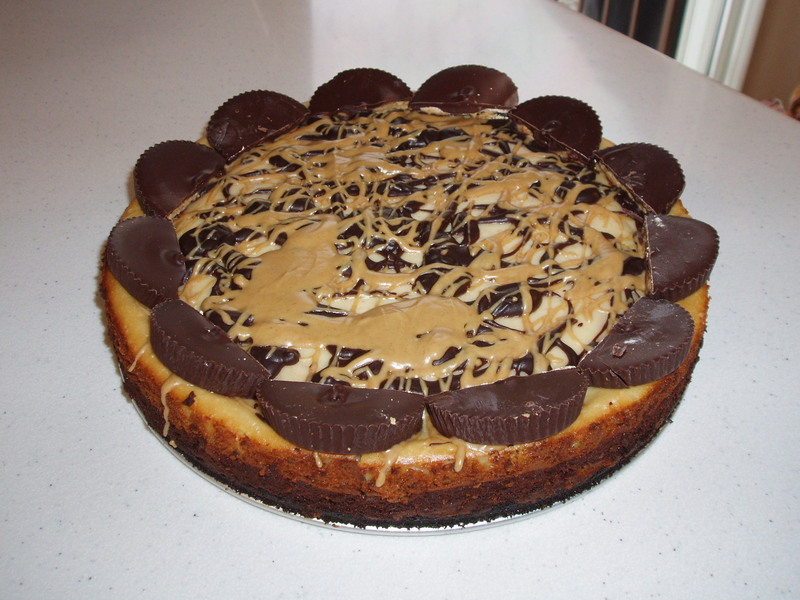 Triple Layer Peanut Butter Chocolate Vanilla Cheesecake. Vegan. This recipe turned out great and was surprisingly easy!